Gina Kling is fortunate to serve the mathematics education community in a variety of ways. Since 2011, she has worked as a curriculum developer for the elementary mathematics curriculum Everyday Mathematics (based at the University of Chicago) with a focus on grades K–3. Recently she served as the grade 1 lead author for the Everyday Mathematics 4 State Editions, the author of the Everyday Mathematics 4 Quick Looks Activity Book, and one of the authors of Everyday Mathematics for Parents: What You Need to Know to Help Your Child Succeed. Kling has taught elementary mathematics content and methods courses for the past 15 years at Western Michigan University in Kalamazoo, Michigan. 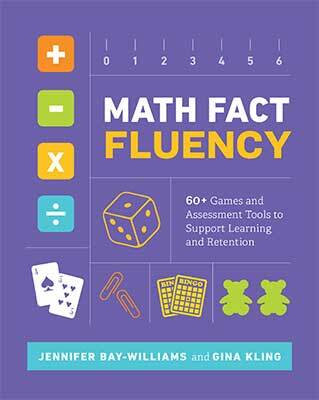 Math Fact Fluency is an indispensable guide for any educator who needs to teach the fundamentals of mathematics understanding.